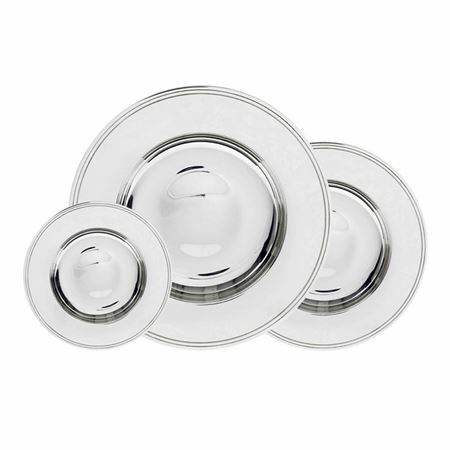 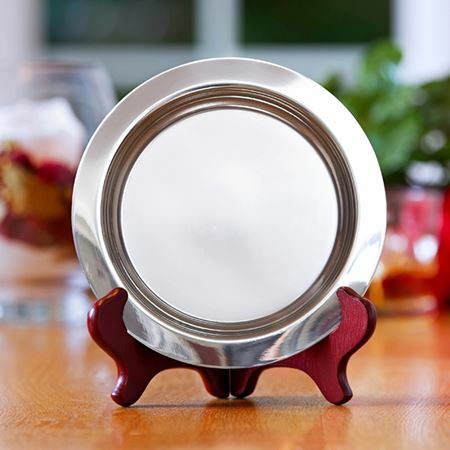 Inkerman's silver plate alms dishes make excellent trophies or signing, company and retirement gifts. 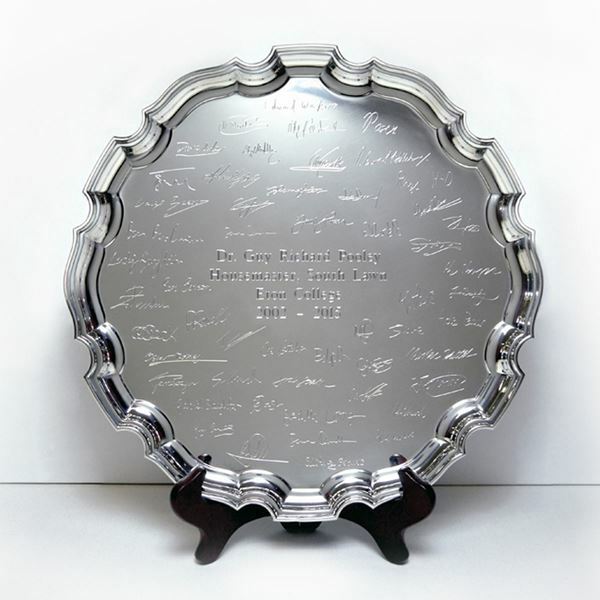 Logos, pictures, names, dates and wording can be engraved in the centre and around the rim to create a very unique piece. 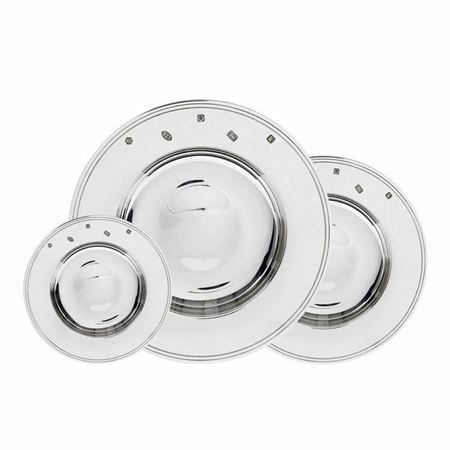 Sizes from 4" to 16" diameter, prices shown below. 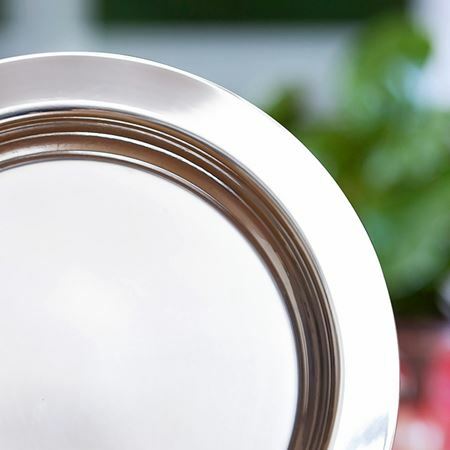 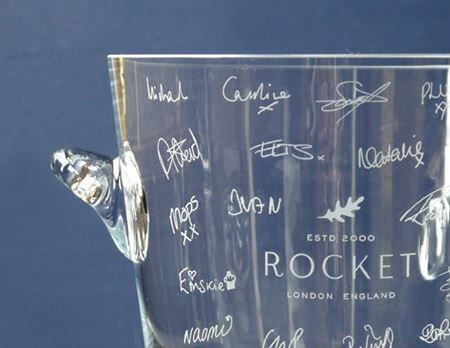 We offer a premium engraving service whereby your own handwriting or signatures can be engraved on the dish. 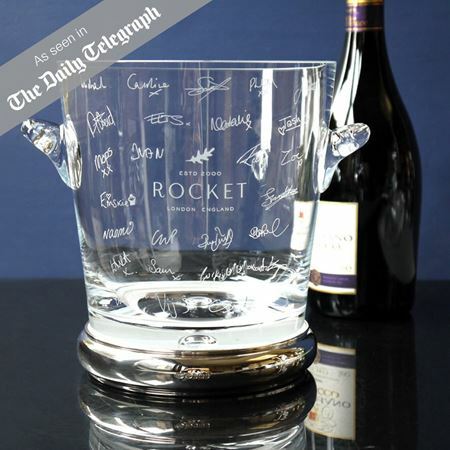 Enquire via sales@inkerman.co.uk or 01892 752 211 for advice and a quote.